Anyone who is familiar with H.P. 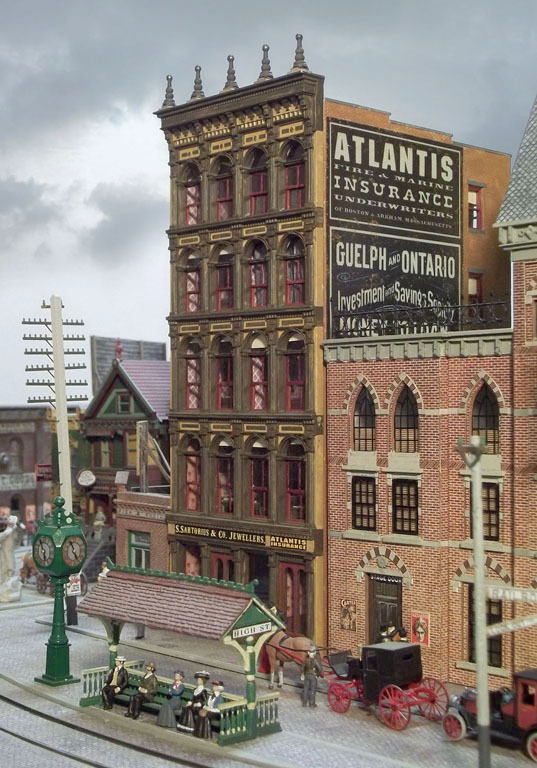 Lovecraft's Cthulhu mythos knows the fictional town of Arkham. 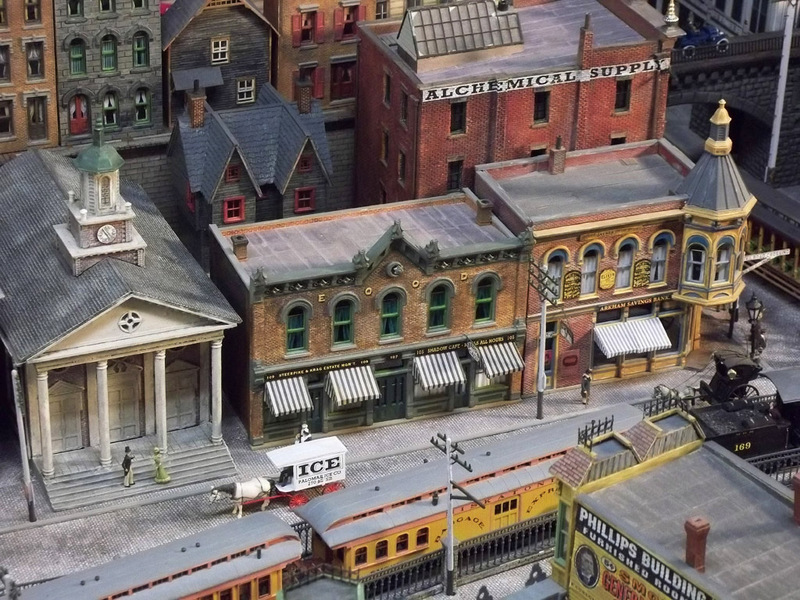 Now you can see it realized as a town created by an HO-scale train enthusiast building the Miskatonic Railroad. When reading the horror books of H.P. Lovecraft, your imagination can easily run wild with the thought of Cthulhu and Yog-Sothoth appearing in your dreams, missing family members and cultists in your town. Now imagine the fictional town of Arkham recreated in a way that you could see the buildings and residents of those nightmares. 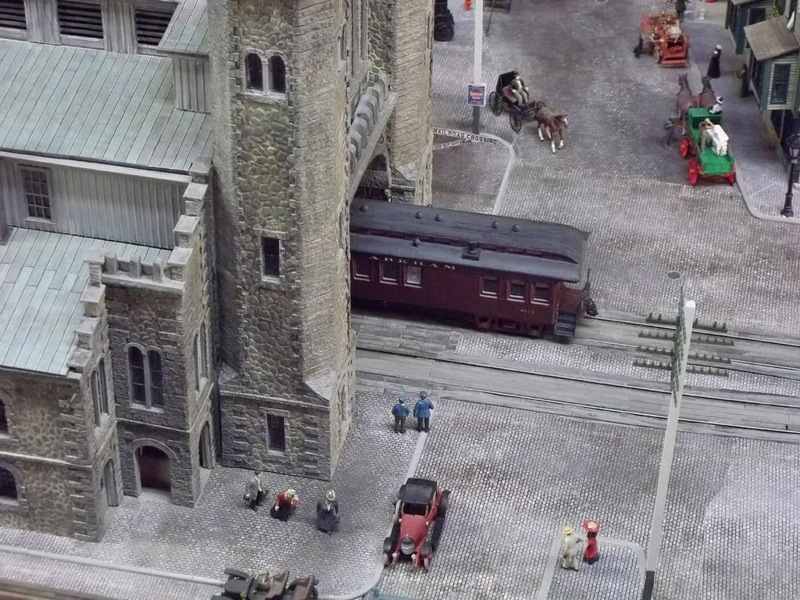 That's exactly what model train enthusiast John Ott has done. 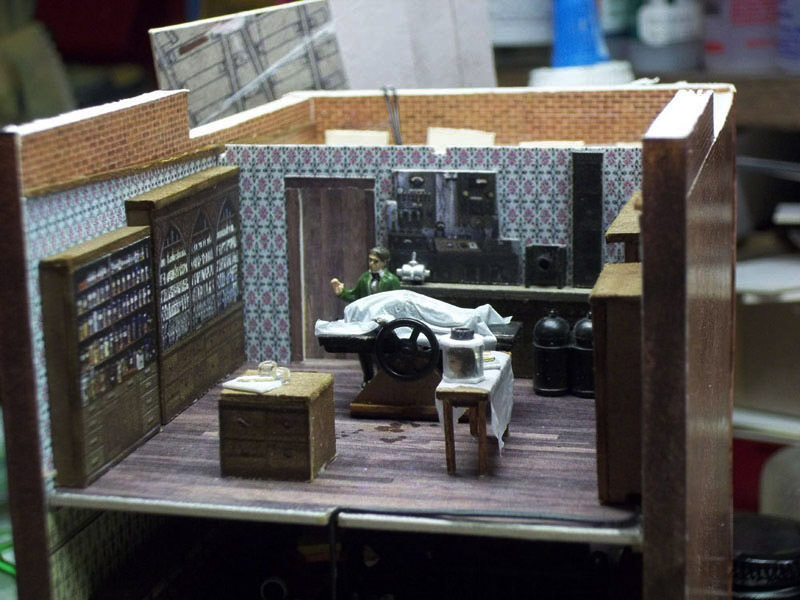 He has taken a map of Lovecraft's Arkham and painstakingly recreated the town and it inhabitants in an HO-scale tribute to one of the scariest settings in literary horror. And it took him about two years to complete. 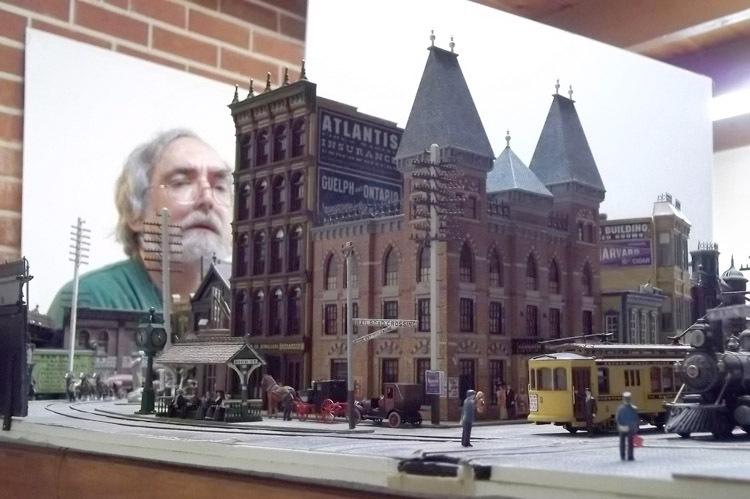 "The model is about 18 square feet and part of a larger train layout," Ott told The Escapist. 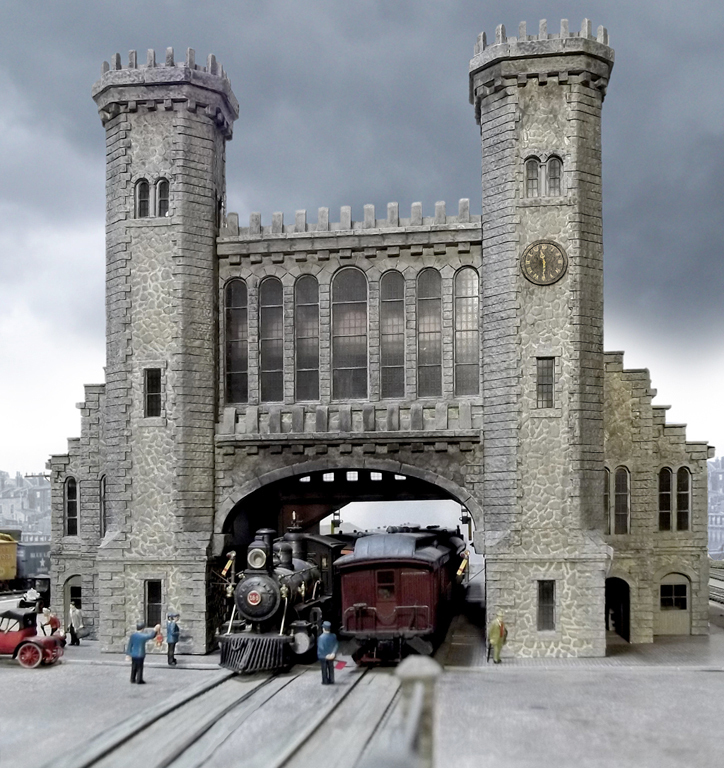 "It consists of close to 50 structures, 15 feet of HO track, 30 vehicles, and 200 figures. I built maybe 2/3 of the structures specifically for the model, the rest are recycled. 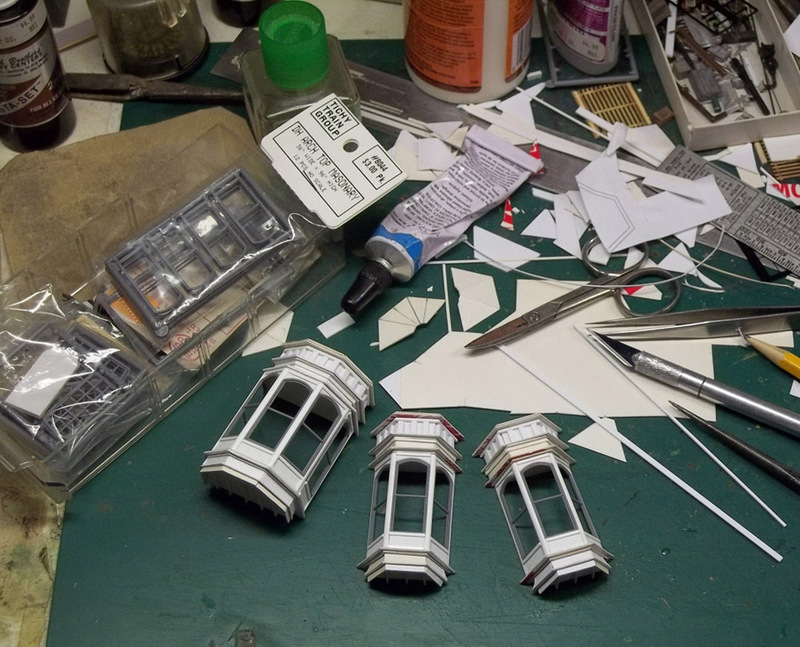 Many are older commercial kits (wood/cardstock, plastic, cast resin, cast plaster, or metal), and the rest are scratchbuilt from a variety of materials. Most of the kits were found at hobby shows or on eBay. 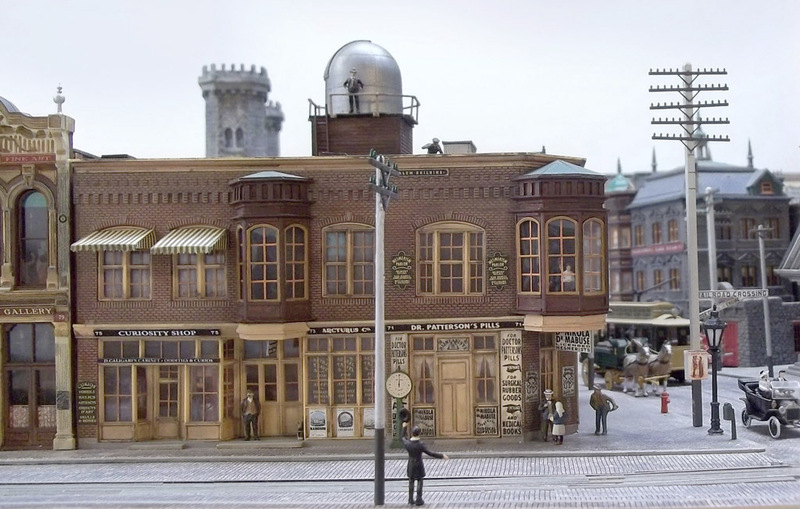 Several of the scratchbuilt structures are modeled after real ones formerly found in Salem, MA." 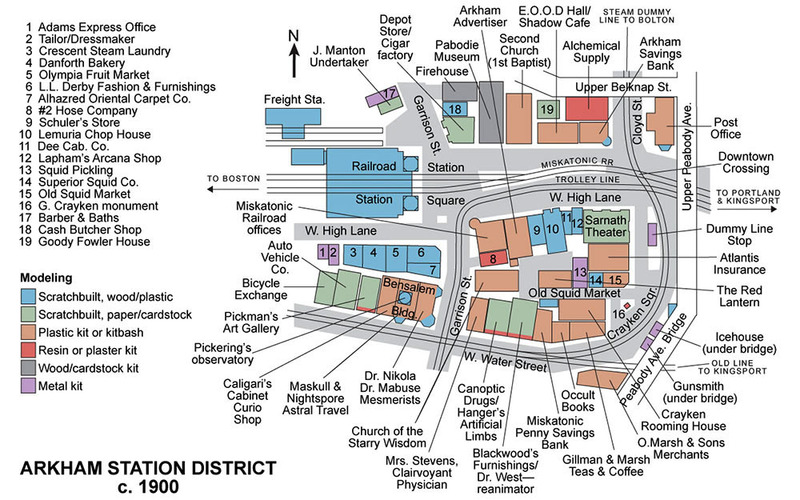 Ott has tried to be historically accurate, even though the town is fictional. He said he went back to read many of the lovecraft stories, taking notes and writing down quotes. "As a model, Arkham records my impressions of an old, grimy eastern Massachusetts city," he writes on the site. "Everything's dirty with coal smoke and weathered by harsh winters. There are plenty of pinnacles, spires, finials, towers, and steeples poking up into the grungy sky. I wanted everything to be brick and granite, old and sober, slightly creepy and slightly menacing. 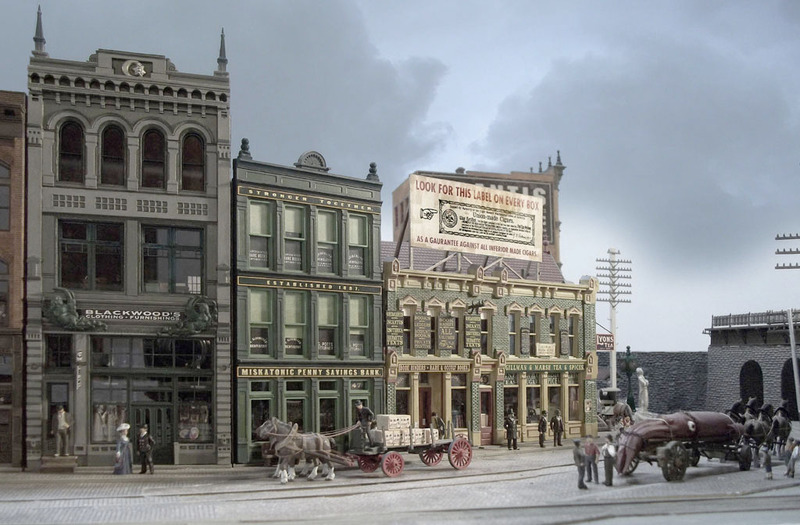 Keeping with my Lovecraft theme, I tried to not let more than one or two buildings go by without at least some reference to the Lovecraft canon- or, if not Lovecraft, the classic fantasy and horror fiction from his era." 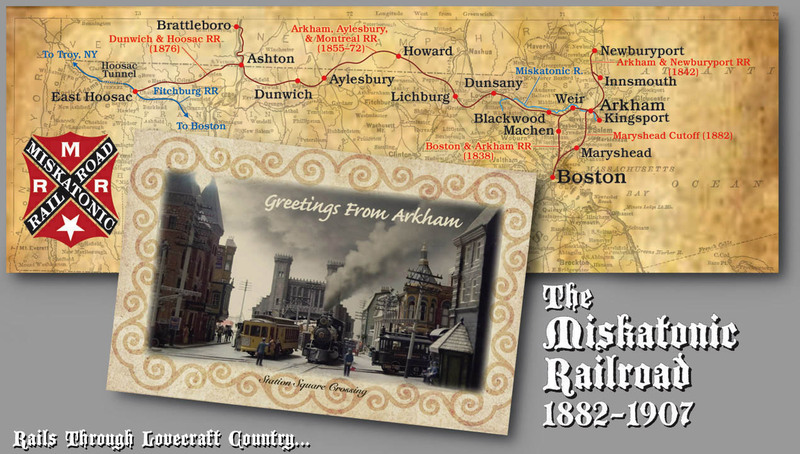 He has even put a lot of extra thought into the Miskatonic Railroad that runs through the town, creating a fictional history based on real-world railroad enthusiast Lucius Bebee and his "nine-times-removed distant cousins, the Bebees of Arkham." "Arkham is a normal town," Ott said. "People who go looking for shoggoths in the alleys or byakhees on the roofs miss the point. And they won't find any. 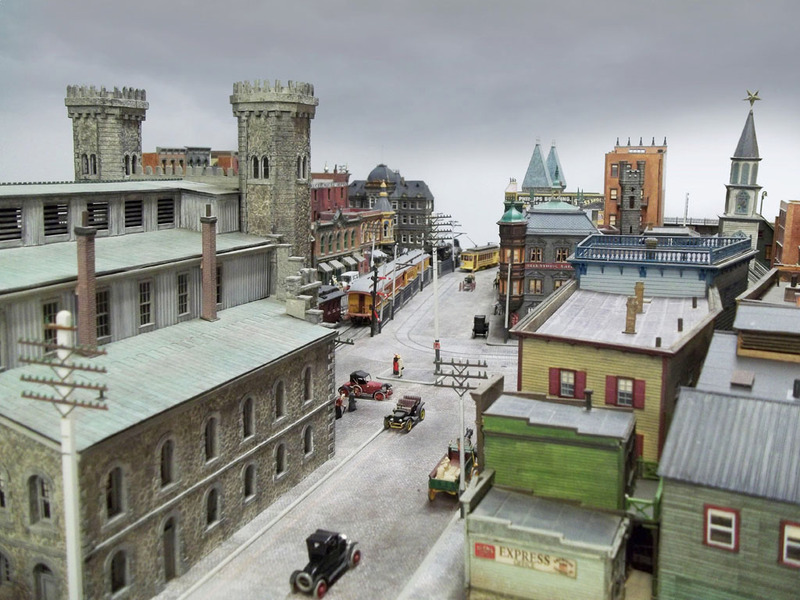 Arkham is a normal turn-of-the-20th-century town but with serious weirdness going on at the edges. 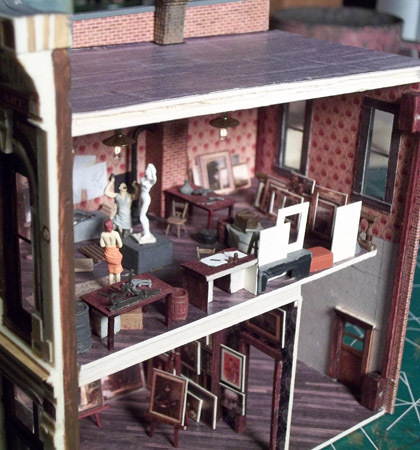 That makes the place fascinating, and also what makes the model hopefully engaging." Ott said the project grew out of a rather unpleasant experience living in Lovecraft country. "I chose to build Arkham as a tongue-in-cheek act of revenge," he said. "Lovecraft used the city of Salem as his model for Arkham. For four long cold years I lived in a cramped apartment a short driving distance away. When I returned to my native sunny California, it seemed natural to record my not-altogether-positive impressions. I was building a new HO train layout anyway. 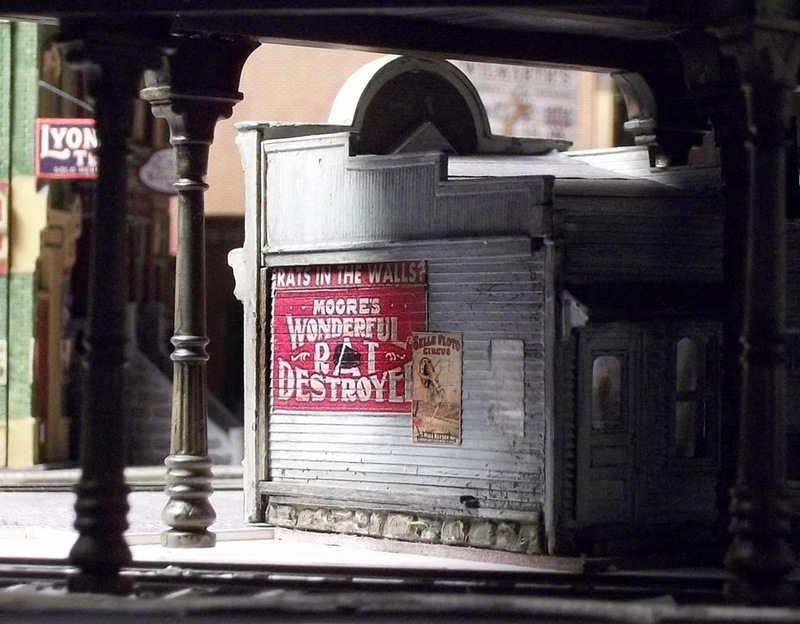 I decided to name it the Miskatonic Railroad, re-read Lovecraft, and things grew from there." Ott doesn't just do Lovecraft, either. 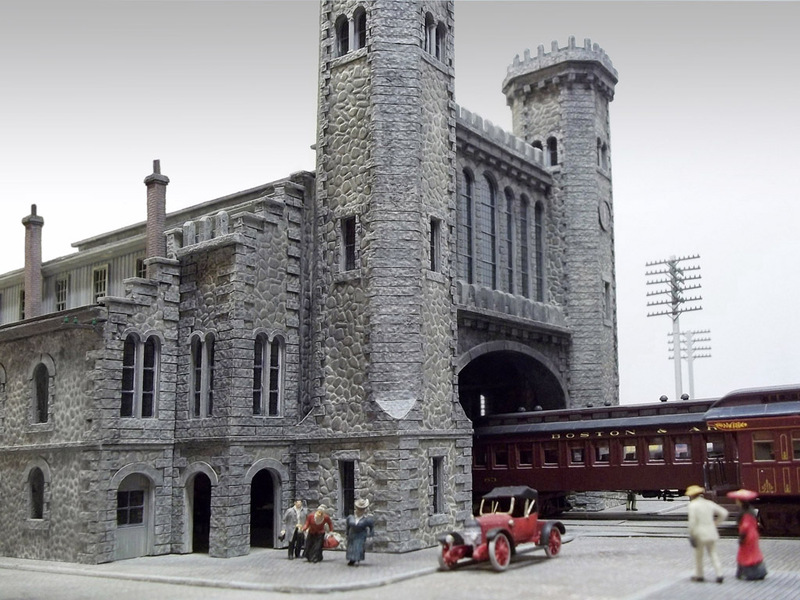 His Ott Gallery site is devoted to "old time railroad models and HO scale projects" from the Victorian/Edwardian era. 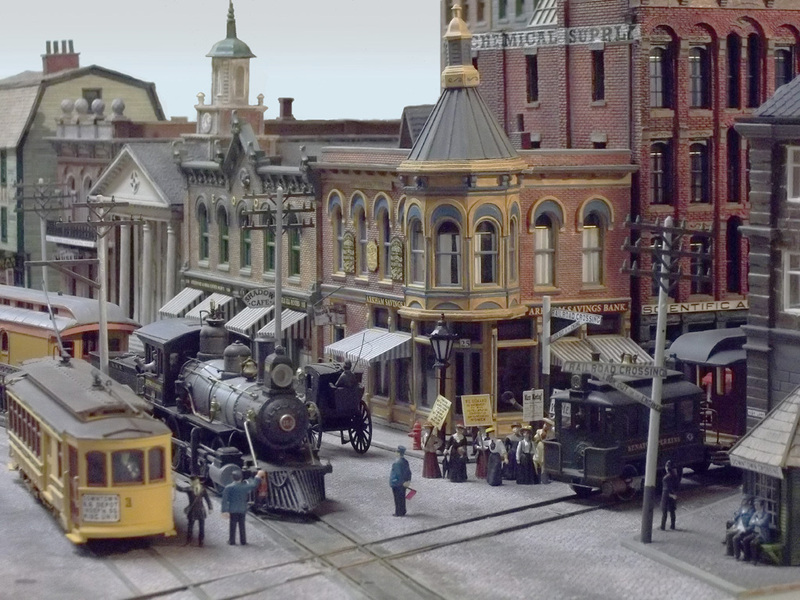 He has an N-gauge setup of a fictional railroad to Citizen Kane's gold mine in Colorado and a HO-scale layout of San Diego in 1908. 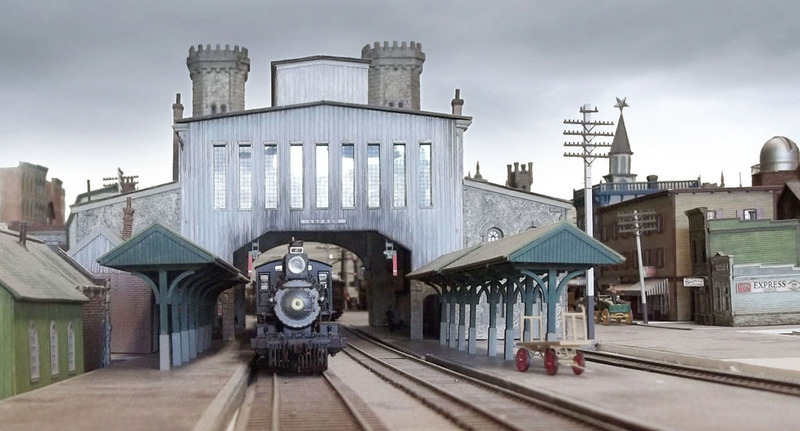 The site also has tributes to various locomotive recreations and links to places he gets his materials. Source: The Ott Gallery. Photos courtesy of John Ott.